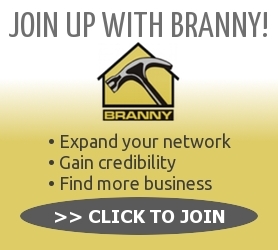 Since its founding, BRANNY has been a focal point in the region; sharing common local industry concerns and issues with all its members. As an association, it is dedicated to creating a positive, professional image and to raising awareness of the industry’s commitment to the public. It also works to improve conditions for its members by lobbying on the local, state and national level through its state and national partners, the New York State Builders Association and the National Association of Home Builders. The Builders & Remodelers Association of Northern New York is a non-profit organization and is the recognized voice of the building, development, and associated industries. We are committed to the enhancement of the quality, reputation, and prosperity of the industries we represent and the communities in which we work and live. 1. To attend town meetings and report back with pertinent information to our board. 2. To encourage the economic growth of the area by inviting new industry to create new jobs. 3. To find methods to ensure affordable housing is available. 4. To join forces with other building related industries and form a coalition that has interests in common with our own.